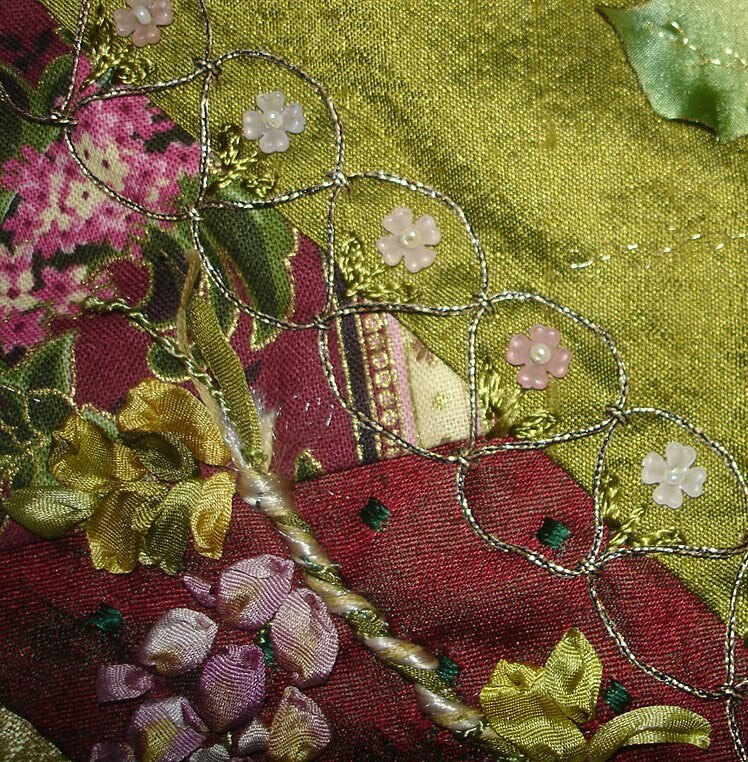 Silk threads are known simply as the most beautiful fibers you can use — in clothing, draperies, and needlework. This natural fiber gives a brighter sheen, offers richer colors, and transforms even a basic design into something more beautiful. 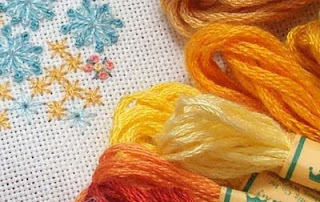 Needleworkers have been using silk threads for centuries, and today you have the opportunity to experience this versatile fiber for your own projects. Here are a few tips and techniques to get you started happily stitching with silk. 1. Cover the rough edges of your canvas or fabric before you begin stitching. It is a small step with huge dividends; your beautiful silk thread will be ruined if you snag it on jagged edges. 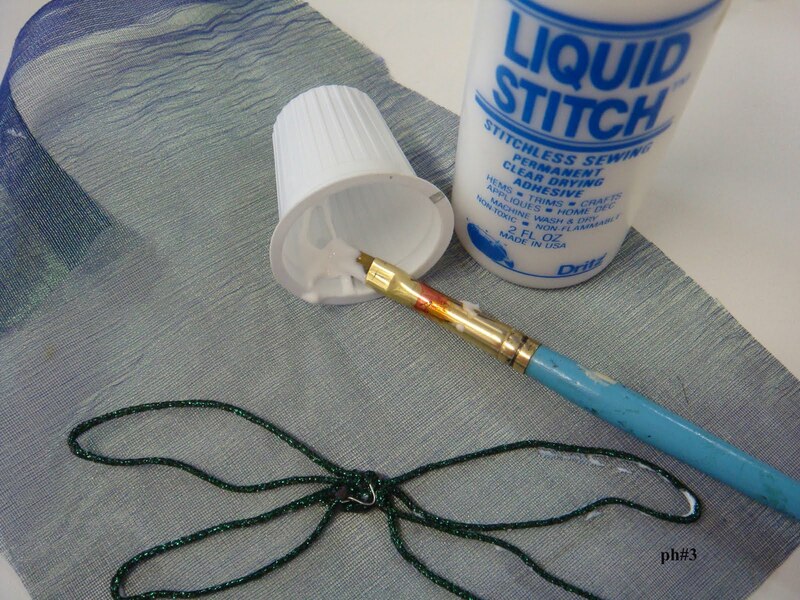 Simply cover needlepoint canvas edges with tape, or turn fabric edges under with a running stitch. If you are also using wooden stretcher bars to hold your canvas, sand away any burrs or chipped spots. 2. To keep silk (or any thread) from snagging on rough skin, simply get into the habit of using a hand cream. A natural, non-greasy cream is safer when handling fibers and will make handwork much more pleasurable. Doug Kreinik, owner of the Kreinik thread company, uses a homemade olive oil mixture to moisturize his hands. He loves to cook so there is always olive oil at home, and his hands stay smooth while working with all of those colorful Kreinik fibers all day. So just get into the moisturizing habit; your hands will look younger, feel soft, and your stitching will look better. 3. 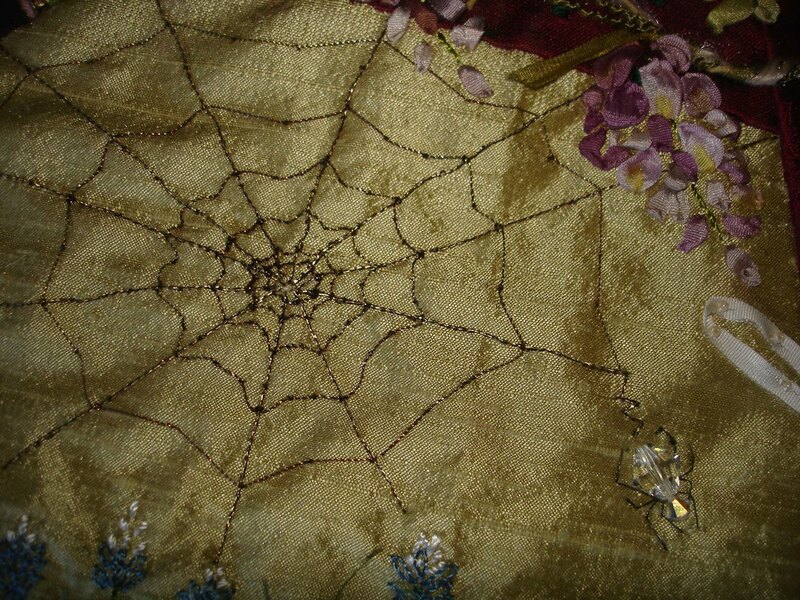 Don't just pick up any needle you find in your pincushion and start using it with your sublime silk fibers. Needles - and needle size - matter more in making a thread "behave" than any other factor. A needle with too-small of an eye or a nick in the eye will cause a thread to fray. A rusty needle can discolor fabric and thread, and also cause abrasion on your ground material which will tear up your thread. A needle that is too thin won't open the hole in the canvas enough to let the thread pass through easily. When stitching with a smooth and lustrous fiber like silk, use a quality, clean needle that is large enough to accommodate the thread. 4. Maximize the natural luster of silk by avoiding short cuts. That is, don't rush it. 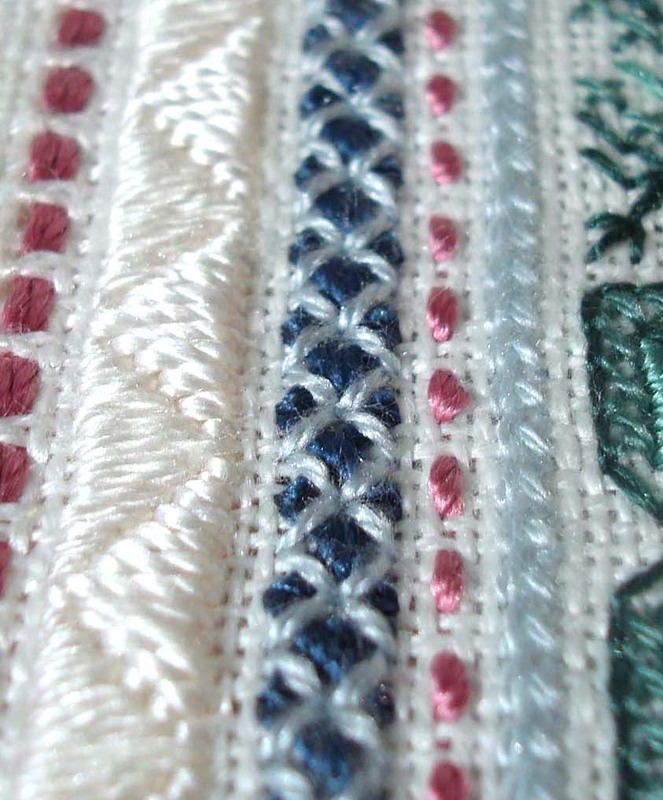 We all want to stitch quickly and get the instant gratification of a finished project. 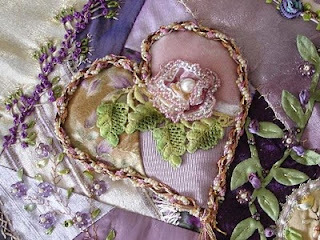 However, impatience never creates beautiful needlework. You spend money on the canvas, threads, finishing, not to mention give your time in placing each stitch, so slow down and enjoy the experience. For example, use short lengths (like 15 to 18 inches) to reduce the number of passes through the canvas and thus keep the thread from looking worn. Let your needle dangle every so often to undo the natural twisting that occurs during handwork and thus avoid knotting. Lay your stitches neatly and evenly to maximize coverage and thus offer more surface for the beautiful light reflection of silk. 5. Don't fear the cleaner. We often think of silk as being delicate, but it is actually one of the strongest of all natural fibers. Silk also has a reputation for being high-maintenance, often due to a 'dry clean only' label. In reality, yes, you want to clean your silk (silk blouses, silk draperies, silk stitchery) carefully to maintain a long and lustrous life. Dry cleaning is recommended for optimum maintenance, but this care and cost factor shouldn't deter you from using silk. You know how disappointing it is when you wash a silk blouse and it loses its luster; it is worth the effort and money to care for your possessions and creations. Unless you have created a silk-needlepointed blouse, most likely you won't need to have your project dry cleaned often. Unless you stitched outside while gardening in the dirt, your needlework should start out clean. Simply interview your local dry cleaner on how they clean heirlooms to find someone you can trust. Can you wash silk? While dry cleaning is preferable, you can hand wash most silk in lukewarm water with a mild, natural soap. However, no thread on this earth is completely colorfast, so do a spot test. Also keep in mind that water, heat, agitation from a washing machine, wringing, or friction with other textiles can all dull the natural luster of your dreamy silk. Silk is a natural fiber with a translucent cellular structure, which allows it to absorb dyes deeply and to reflect light to a high degree, giving the finished project a pure color and a beautiful luster. 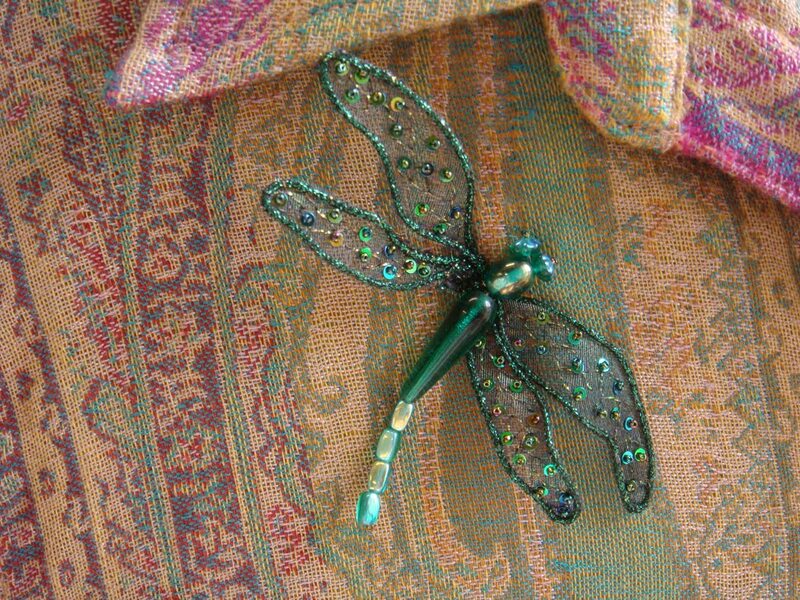 When worked in needlepoint, cross stitch, quilting, and embroidery, silk has a bright sheen unrivaled by other threads. Its loft provides voluminous coverage, and its softness spoils your fingers. 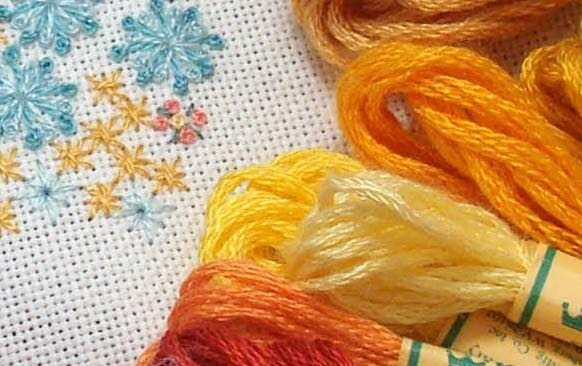 Silk threads can be used in all stitches, in all types of needlework, to make all projects brighter, more colorful, richer-looking, and simply more beautiful. 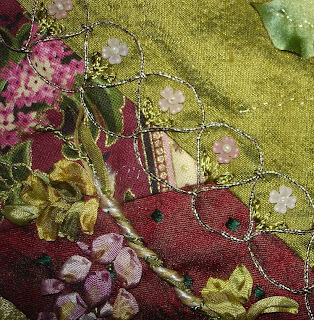 So relax, use these easy tips, and treat yourself to silk thread for your next project. 2. Either use a wing pattern or free-form as I did to bend thread to form two lengths for longer front wing and two lengths a tad shorter for back wings without cutting thread (see photo #2). 3. As you can see in photo #3, the first two are just a bit longer. Twist one large and one small wing to the other side to form a set of four wings. Longer wings go on top. Take 1/2" of Hot-Wire™ and secure in center. This will be later hidden with beads. 6. After embellishing each wing, carefully cut along the outside of all wings keeping them as one connected unit. You can bend the wings or leave them flat. I will be sewing beads on top of center joint when I am ready to add it to the finished project. Once again, Thank you Kreinik!!!!!! Something new to play with! 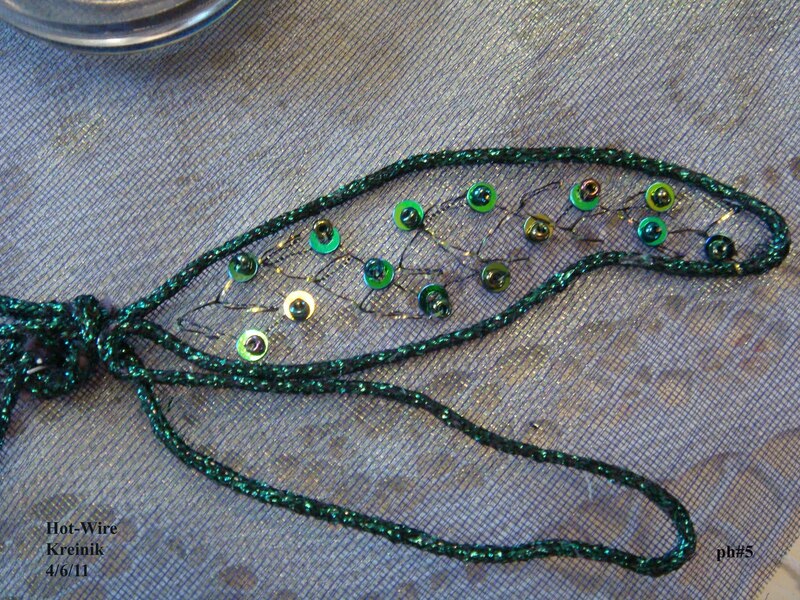 Order Kreinik Wired Braid™ online at http://www.kreinik.com/shops/Wired-Braid.html or from your local needlework store. 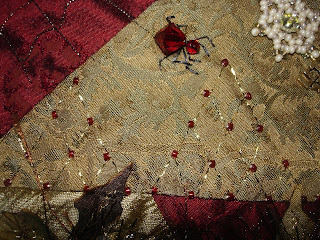 Kreinik note: Guest blogger Barbara Blankenship is one of the most talented crazy quilters you will meet. 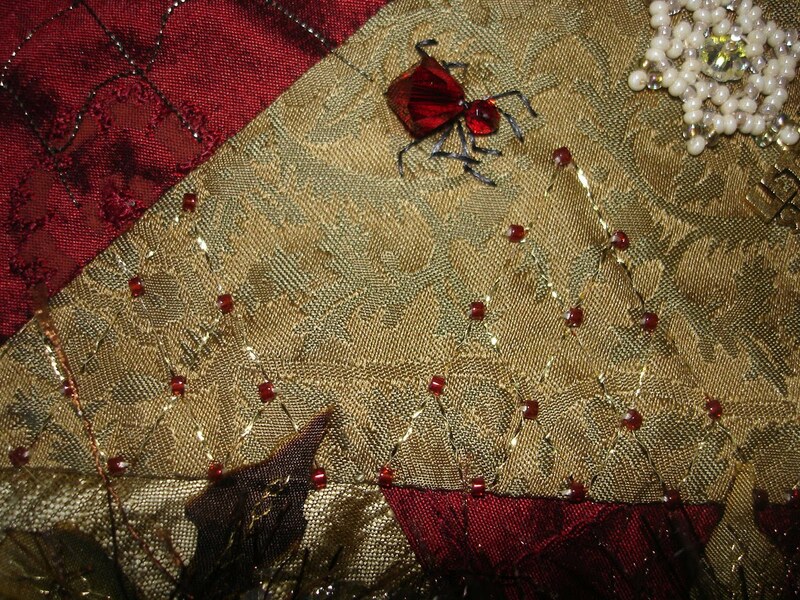 She always inspires us with her creative use of stitches and threads, so we asked Barbara to share some of her top tips for using Kreinik threads in crazy quilt embellishment. 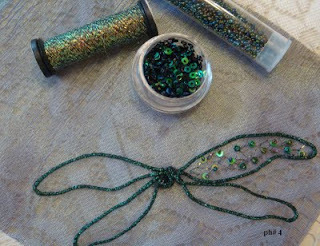 Even if you aren’t a crazy quilter, use her suggestions as ideas for incorporating fun embellishments into your own art form. Use a shorter length of thread. As the metallic thread moves through the eye of the needle it will begin to fray. Shorter lengths will minimize this problem. Use a larger shank needle when using the heavier threads. If the entry hole is larger the thread will glide through more easily and not tend to fray. 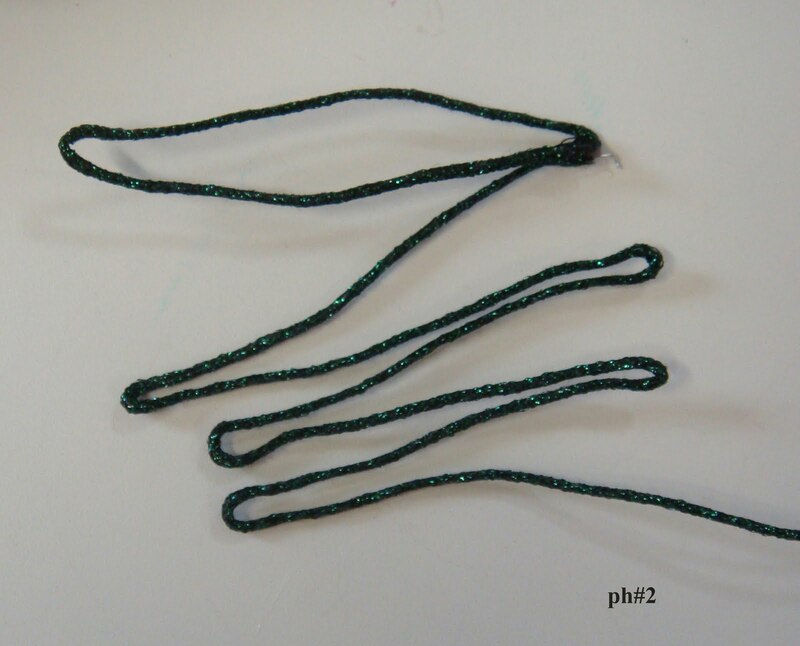 Use a ribbon embroidery needle when stitching with the 1/16 or 1/8” Kreinik ribbon. I hope the following photos will better explain the beauty this thread lends to your needle and fiber art. I have thoroughly enjoyed exploring the possibilities of using Kreinik’s new Easter Grass ribbon. The most obvious use, of course, is the nest pictured here. Every crazy quilt needs at least one spider web. In this photo I’ve used the Kreinik Tapestry #12 Braid. I used the Kreinik machine sewing thread ZTIC0031 Golden Brown fine twist sewing thread on this acorn needle case. I love the brief glimpse of brown metallic around the outer edges. It’s a very fine thread yet has the strength and durability to stitch the two pieces of wool securely together. This thread is intended for sewing machine use but I’m so glad I tried it for hand embroidery. 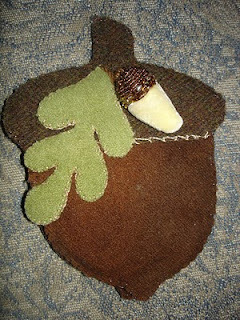 The blanket stitch around the leaf and bottom edge of the acorn cap is stitched with #8 braid. 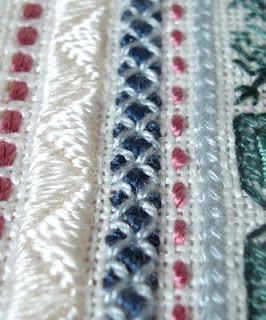 I love this woven seam treatment using the Kreinik #16 Braid. Lynn Schoeffler introduced this stitch through www.CQMagOnline.com and it’s one of my favorites. 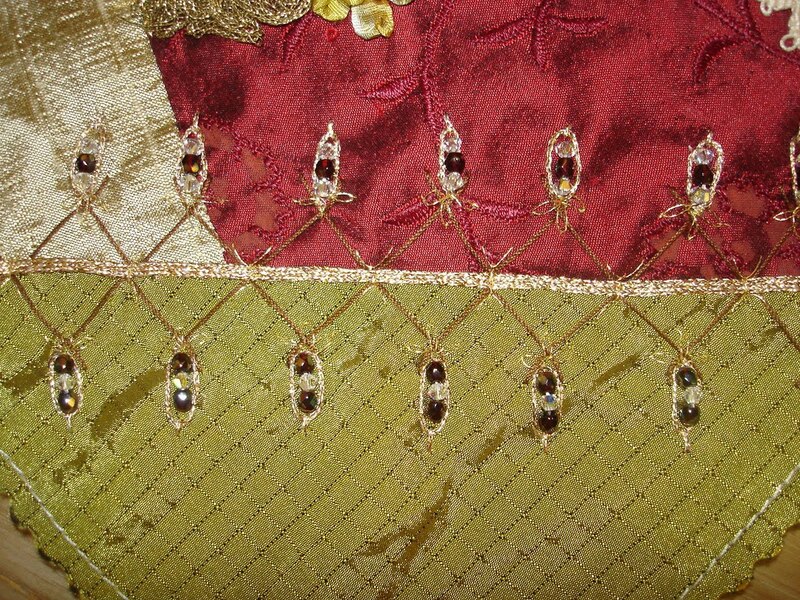 These stacked fly stitch pyramids are done using the Kreinik gold Blending Filament. In this seam treatment I’ve couched the Kreinik 1/8” Ribbon. The herringbone and lazy daisies are done with #8 braid along with #4 lazy daisies. In the final two photos I’ve woven cords using various Kreinik threads along with matching fibers. By choosing eight Kreinik threads along with coordinating fibers (and beads) I have created trees, branches and frames. I used the Diva Cord Maker distributed by the Fibergoddess. What an amazing journey I’ve had discovering all the wonderful things available to the fabric and fiber artist. I am thrilled to be able to share my love of Kreinik threads.